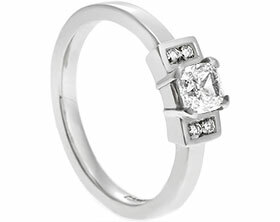 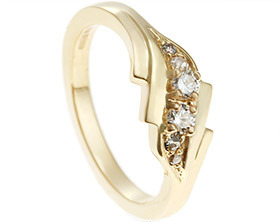 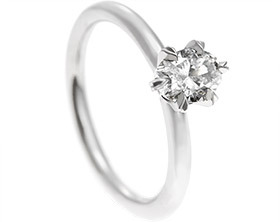 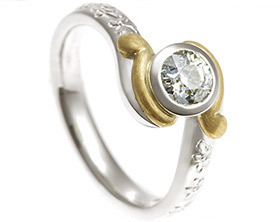 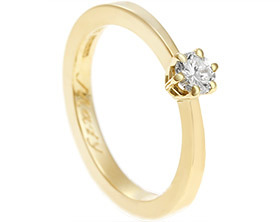 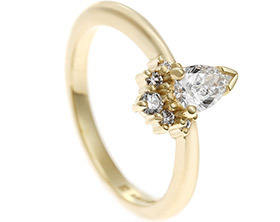 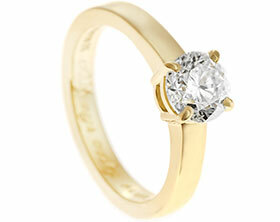 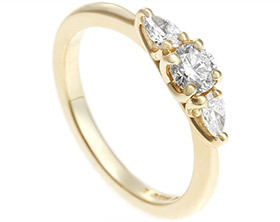 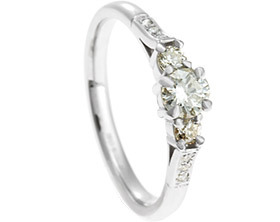 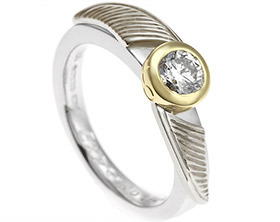 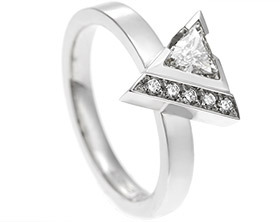 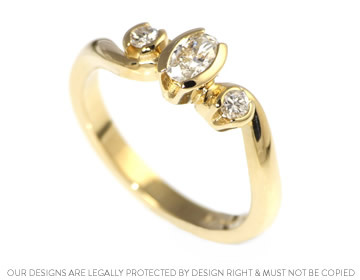 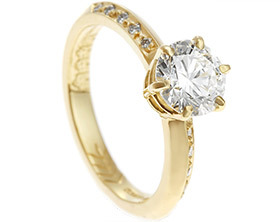 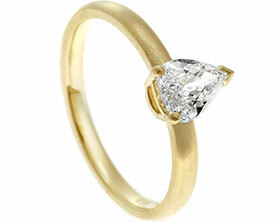 This beautiful Fairtrade 18ct yellow gold engagement ring features 3 beautiful diamonds, one oval cut 3x6mm (0.29ct) H VS diamond, one 2.41mm (0.05ct) recycled white brilliant cut diamond and one recycled brilliant cut diamond, approx H Si 2.4mm (0.06ct). 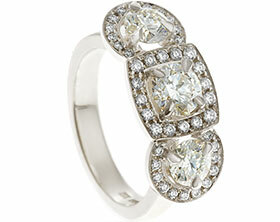 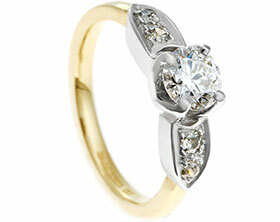 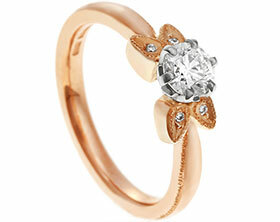 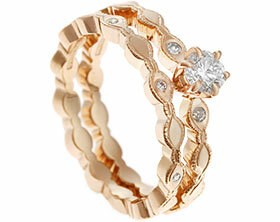 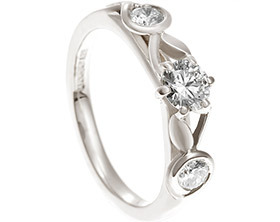 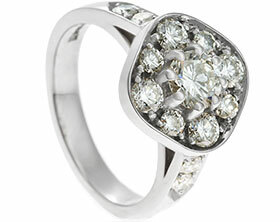 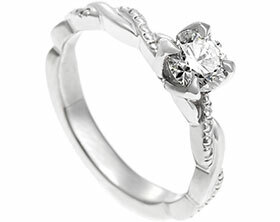 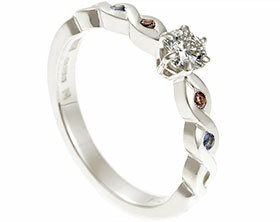 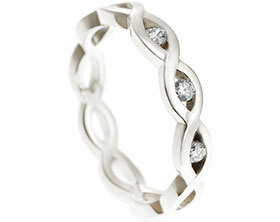 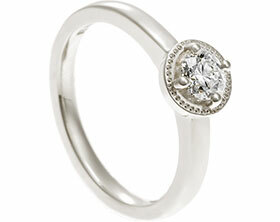 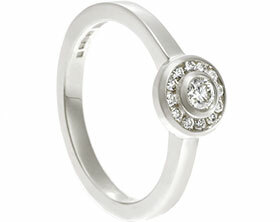 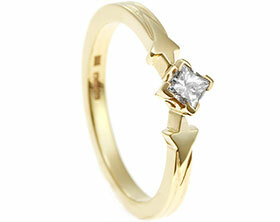 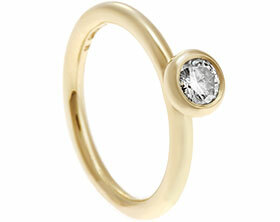 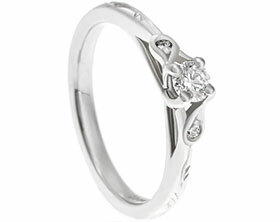 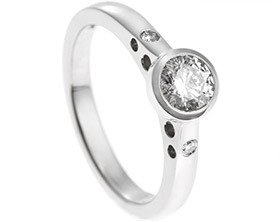 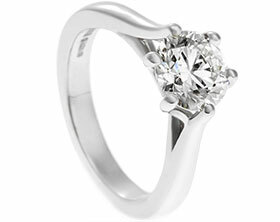 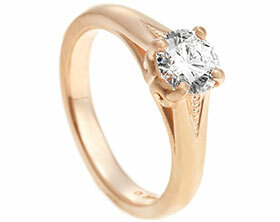 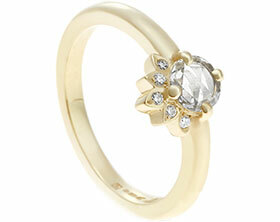 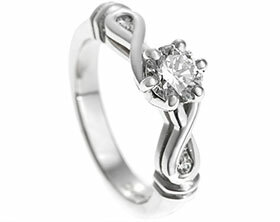 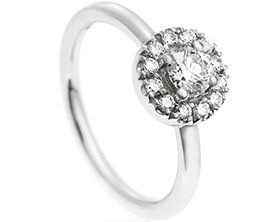 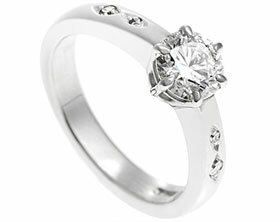 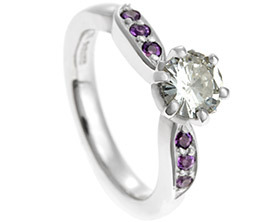 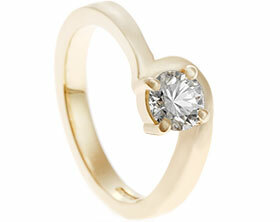 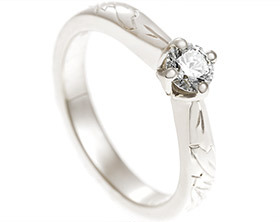 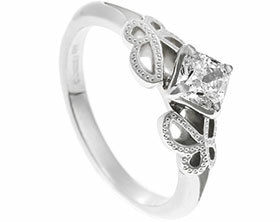 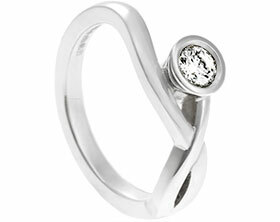 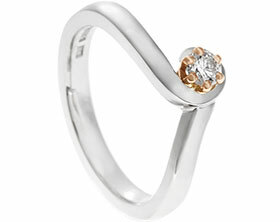 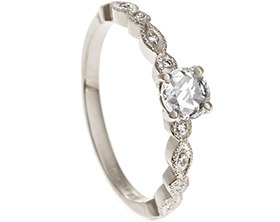 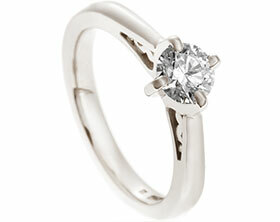 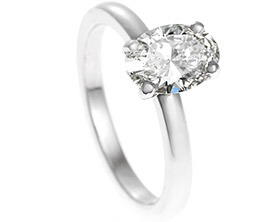 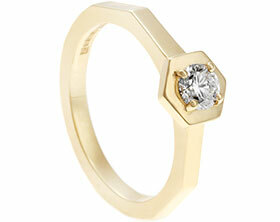 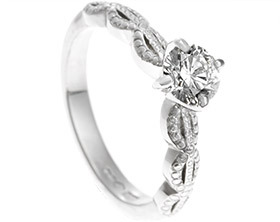 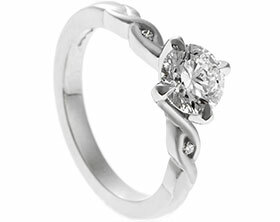 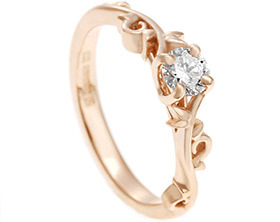 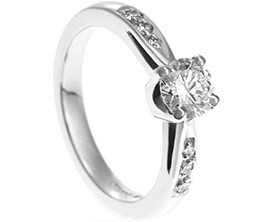 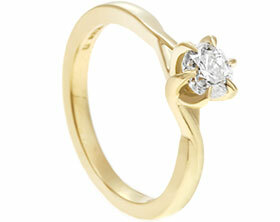 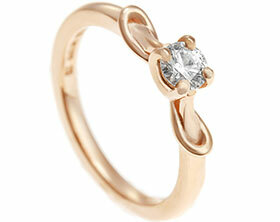 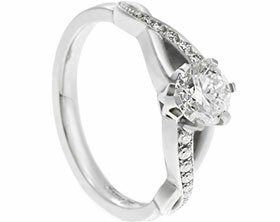 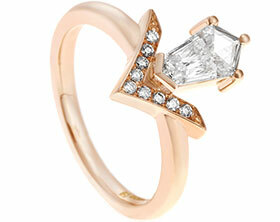 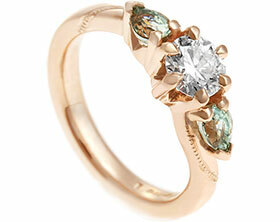 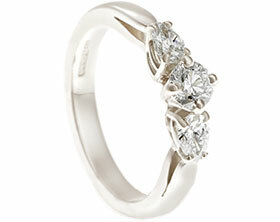 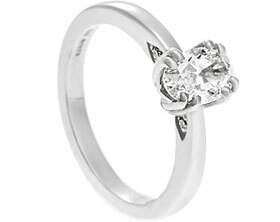 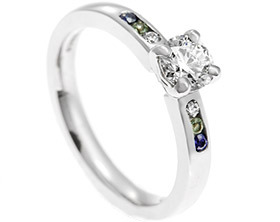 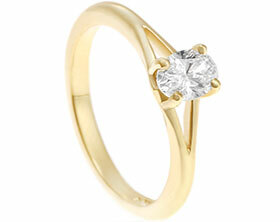 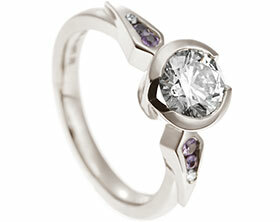 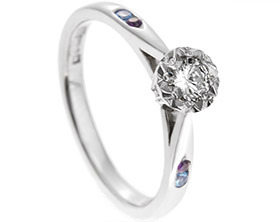 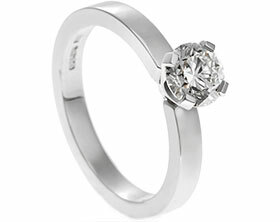 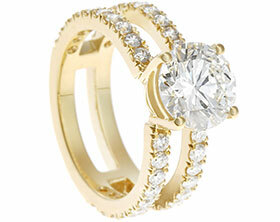 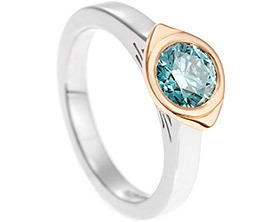 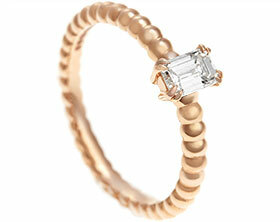 The diamonds are all end only set which gives a lovely side view of the stones with lots of sparkle. 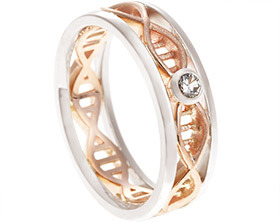 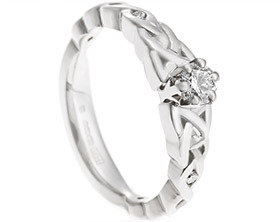 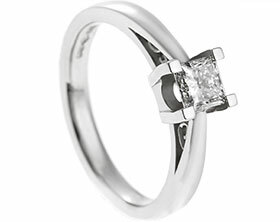 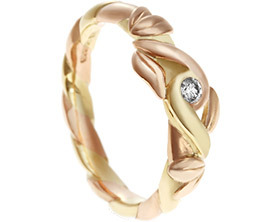 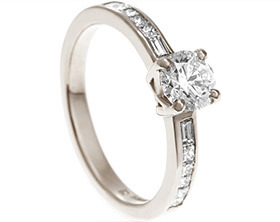 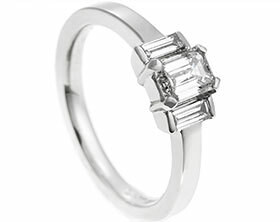 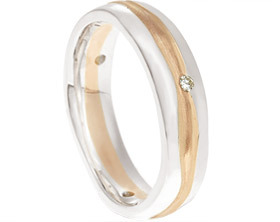 The twisting style band gently tapers towards the centre and has a curved D shaped profile which really compliments the design, and to complete the look the ring is polished to a high shine.